This is a round Bamberger Railroad porcelain sign. 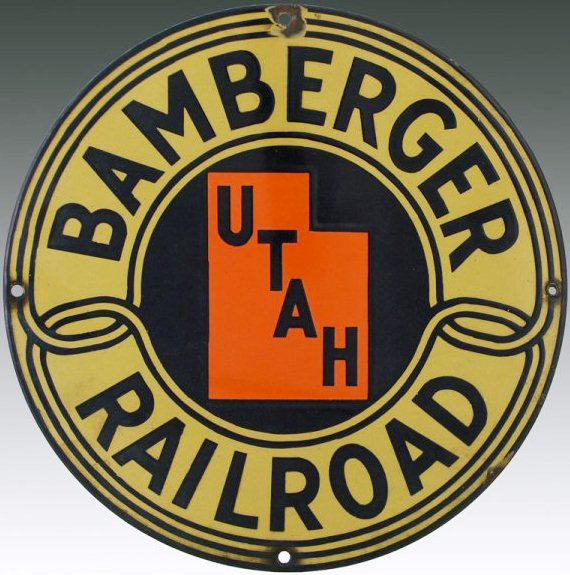 This particular Bamberger Railroad sign features an orange outline of Utah against a navy center with a beige border. It reads, “Bamberger Railroad Utah”.